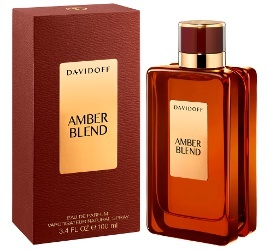 Davidoff has launched Amber Blend, the third fragrance in the Davidoff Blend Collection. The series started in 2014 with Leather Blend, followed by Agar Blend in 2015. Amber Blend was developed by perfumer Olivier Pescheux. Notes for the spicy oriental include cinnamon, nutmeg, amber, succan absolute (rum extract), sandalwood and Peru balm. Davidoff Amber Blend is available in 100 ml Eau de Parfum.